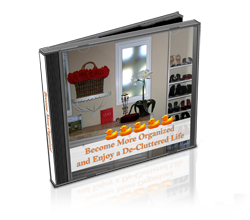 We all know that CLUTTER can be detrimental to a business financially. A Corporation can loose millions of dollars, while a small business can fold simply due to CLUTTER. Clutter can translate to actual LOST money. According to a study released in 2010 by P-Touch, “The estimated annual dollars spent on looking for misplaced items in the office is $89,840,657,069 among full-time office professionals”. Given this study is over 3 years old, one can assume that the costs are even higher. What exactly does this means? Simply stated, when one has so much CLUTTER, and is so disorganized that they cannot locate an item, they misplace an item, leave an items behind, etc., many times it must be replaced. Whether the item is replaced by an employer or a company owner, it COSTS someone. This obviously comes out of the bottom line. Most popular items lost or misplaced: Lap Tops, Ipads, Cell Phones, chargers, adaptors, and numerous office supplies. The above figure only accounts for the replacement of items. It does not even take into account the TIME or PRODUCTIVITY it has taken one to actually try to locate an item.